New Mexico is known for southwestern style and food. The state is also known for its many historic adobe pueblos. The most famous of those is Taos Pueblo. 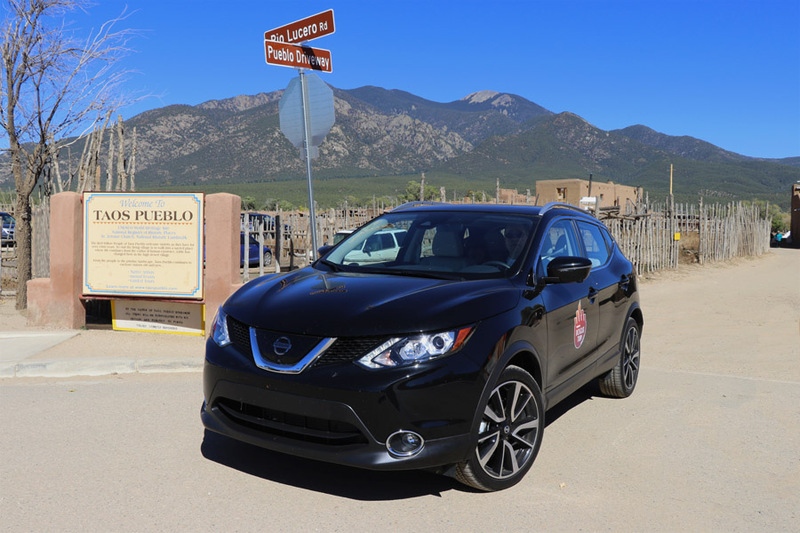 When we were planning our road trip through New Mexico with Nissan, I heard conflicting statements of whether or not a visit to Taos Pueblo was worth the extra driving time. It turned out to be a nice addition to our family road trip and we were glad we made our way there to see it. Taos Pueblo is a collection of well-preserved buildings and is a UNESCO World Heritage Site. Natives still live there to carry on centuries-old traditions which have been passed down to each generation. As you near the site, you will be directed to park and then to the admission counter. There used to be a fee to take photos but that is now included in your admission fee ($16/adult, $14/child, 10 and under FREE). You are free to explore on your own but be mindful that the pueblo sits on native land and they have their own rules. So, be mindful to respect the locals that live there. 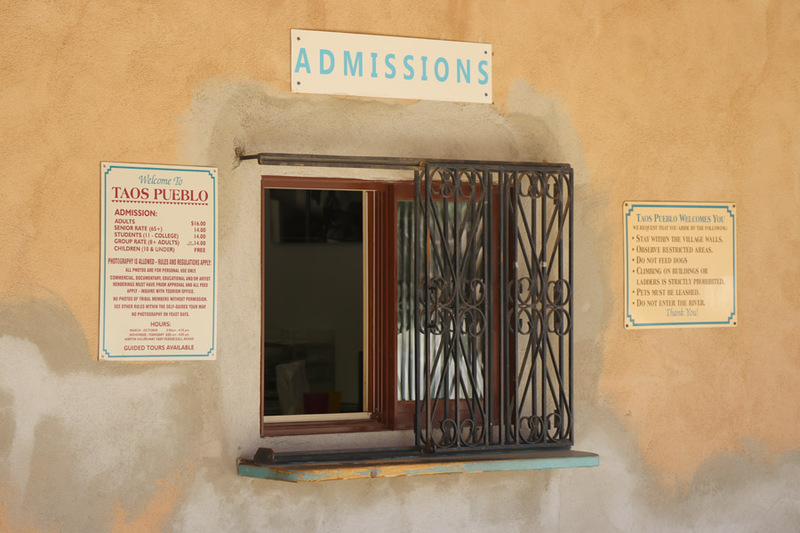 Visitors are free to explore Taos Pueblo on their own. An optional walking tour is available every hour or so by a local guide. The short tour includes a brief history of the area. You will learn how the people struggled, survived, and thrived over the years despite various injustices. 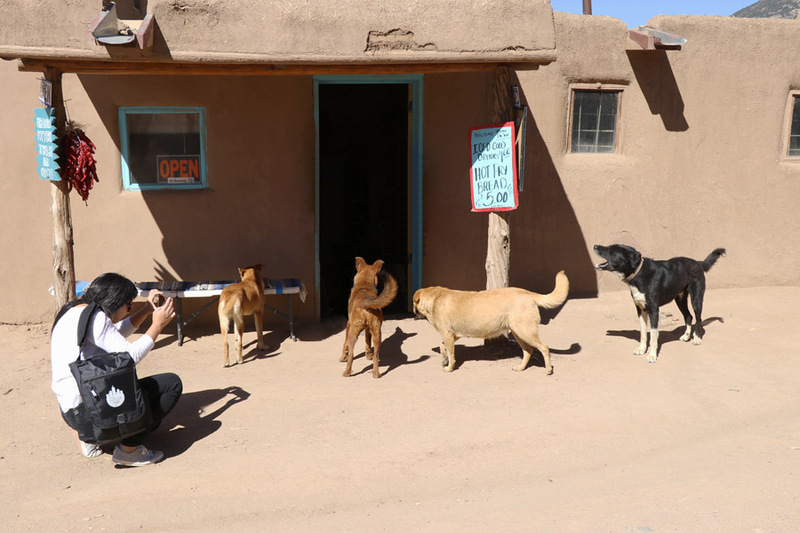 The guide also talks about what it’s like to live in Taos Pueblo now. 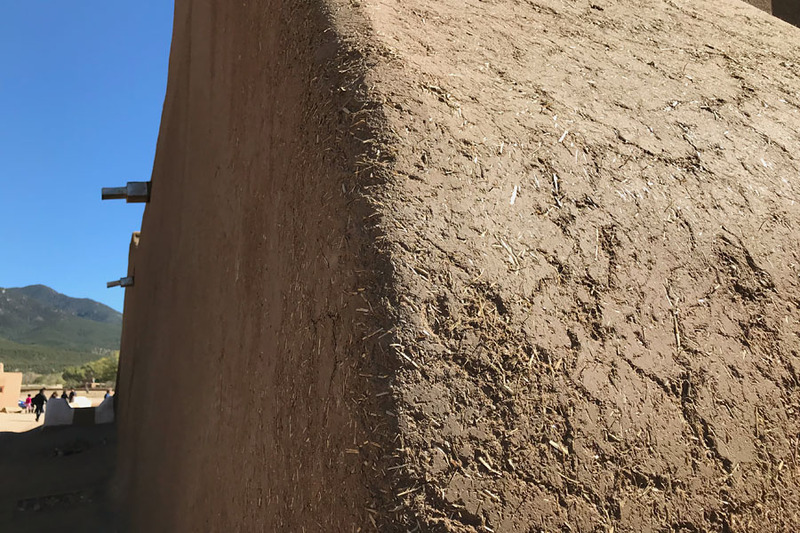 The native people continue to live in the adobe buildings (constructed of mud and straw) and firmly follow their ancient traditions, ceremonies, and beliefs. There is no cost for the tour but donations are encouraged. 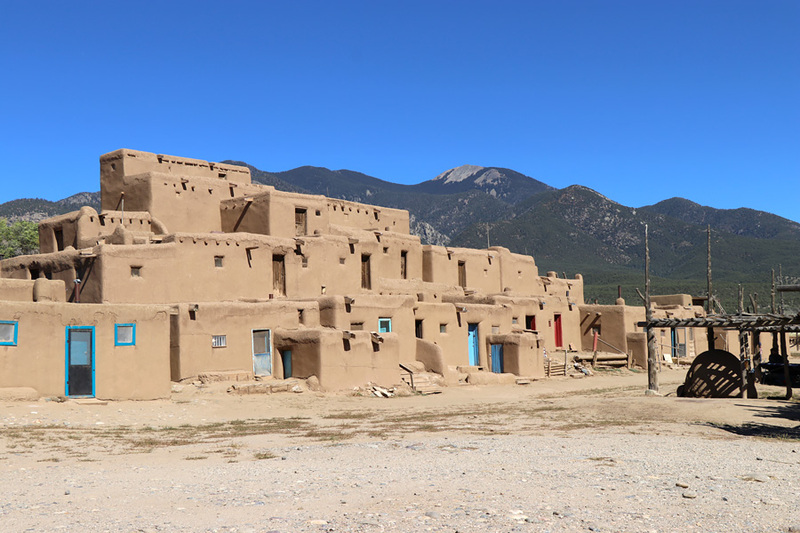 Taos Pueblo consists of two main building structures that sit on either side of a small river. You can visit various baking, jewelry, and craft shops which residents run. Munchkin and I ended up buying a few necklaces from a local vendor (which used up all the cash we had on us). The locals we met were friendly and more than willing to chat. I loved learning about what daily life here is like and how connected the people are to their culture. 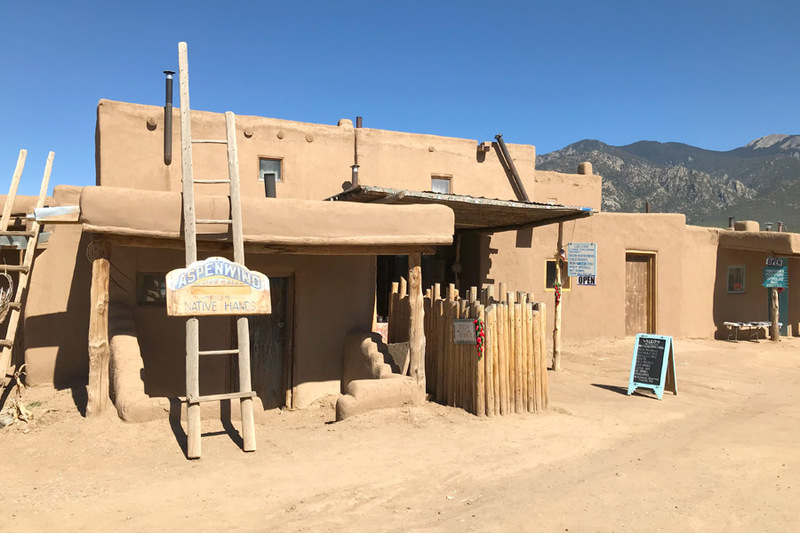 Taos Pueblo — Worth the Detour? 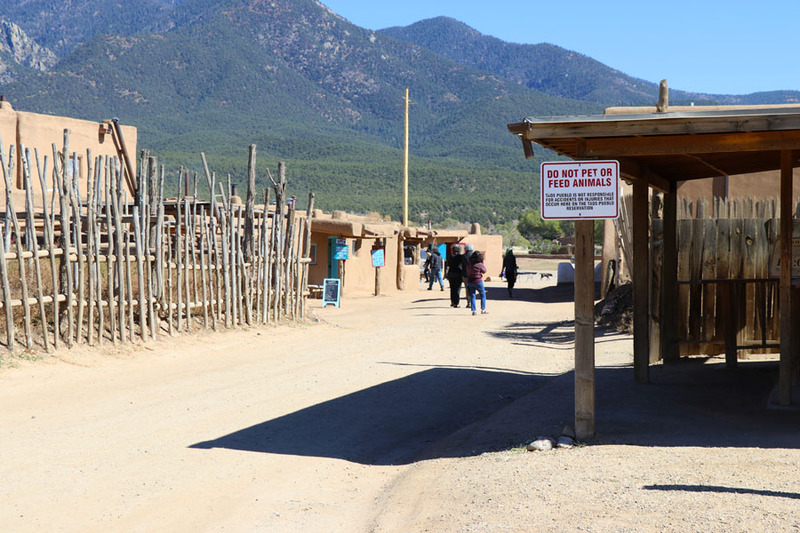 You should know, though, that Taos Pueblo is quite a detour. It takes a couple hours to get there and you will likely only spend 1-2 hours at the site itself. So, I would only visit if you have the time and if it’s in conjunction with seeing other highlights in the area. If you’re not into history or have little kids, then it could be kind of boring. As for the route to Taos Pueblo, there is something called the High Road. It includes some nice views and historic sites but it’s a long and windy road. We would have been fine skipping it and taking the highway instead. That would’ve left us more time to explore the adorable town of Taos. Taos itself has really cute buildings, a number of nice bed and breakfast spots, and food at La Cueva was delicious (and super attentive to those with food allergies). 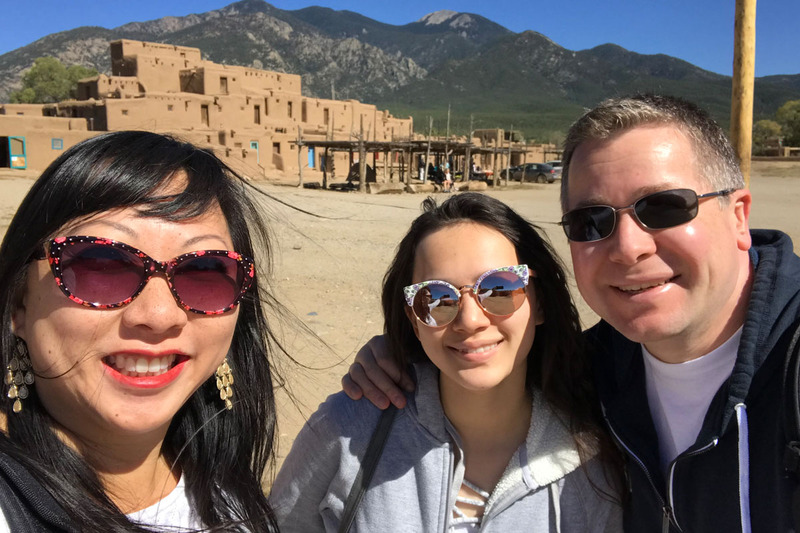 Despite the extra long drive, we enjoyed our time at Taos Pueblo. It was interesting to learn about the history and to see these buildings up close. Is it touristy? Yes. But it’s also an important landmark and is an ongoing tribute to those who lived, and continue to live, in these structures. 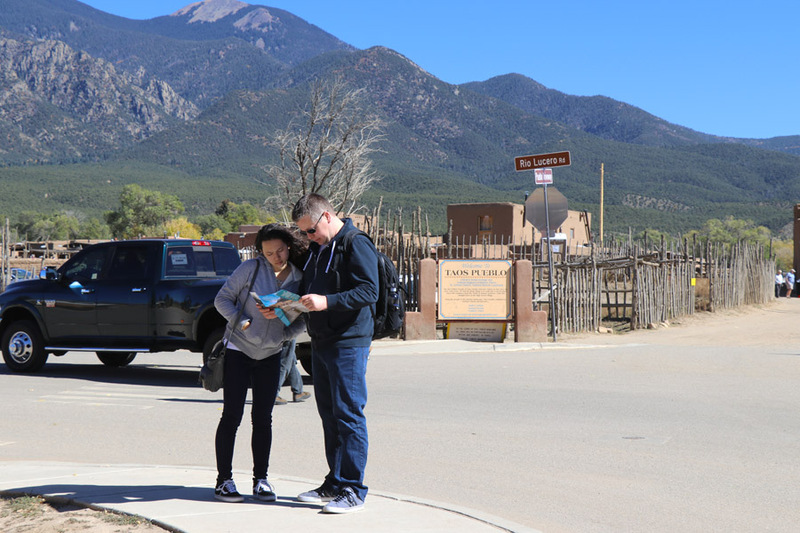 If you are interested in history and want a different perspective on Native American culture in New Mexico, then this might be a fantastic destination for you.